Access to education is a big challenge in Africa. Except for primary level education in Uganda, which is free, education at all the higher levels is private. 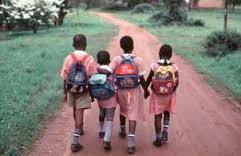 In Teso, four out of ten pupils that start in primary 1 never complete primary 7. Similarly, nearly half of students who start senior 1 never complete O’ level and only 2% of students who start A’ level go beyond. The high dropout rates of students from schools in Uganda’s results from poverty among parents who cannot afford to educate their children privately. In the UK, whereas education is free and there are loans for tertiary education, some of our children have not utilized these opportunities. To address these situations, IWA conducts activities to inspire and support individuals to advance their education. We provide information about employment opportunities and conduct training to improve employability of UK beneficiaries. In Uganda, we plan to set up a scholarship scheme to support access to higher education and vocational education; we organize and support games and sports events; we carry out career guidance in schools; organize exchange programmes for educationists; and support international students coming to study abroad. We plan promote and support Ateso education in Uganda and UK.